Good Morning everyone. 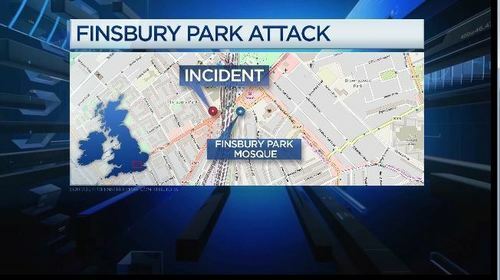 A vehicle drove into a crowd of people near a mosque in the Finsbury Park Area of London, authorities said earlier Monday morning. Police in London said there were a number of casualties and one person had been arrested for an incident on Seven Sisters Road. One man was pronounced dead at the scene and eight people were taken to hospitals, authorities said. One person is killed and 10 more are injured after a van ploughs into crowds outside a mosque in London, in an attack the Prime Minister says is being treated as potential terrorism. The Muslim Council of Britain brands the incident a 'violent manifestation of Islamophobia', as a 48-year old man is detained by the public before being arrested and taken to hospital by police. 'Now the hard work begins' says negotiator David Davis as he heads to Brussels to begin Brexit talks, while Chancellor Philip Hammond says there will be a clean break with the EU. French President Emmanuel Macron wins a commanding Parliamentary majority but his victory faces criticism as turnout is low. 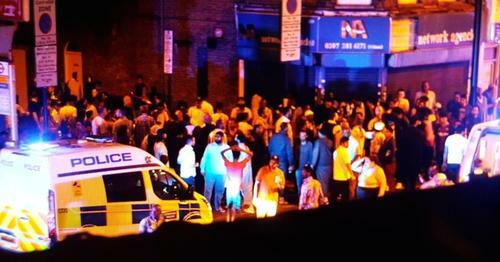 One person has been killed and 10 injured after a man drove a van into a crowd at Finsbury Park in North London. Several of the victims were believed to have been leaving evening prayers at a Mosque after breaking fast for Ramadan. 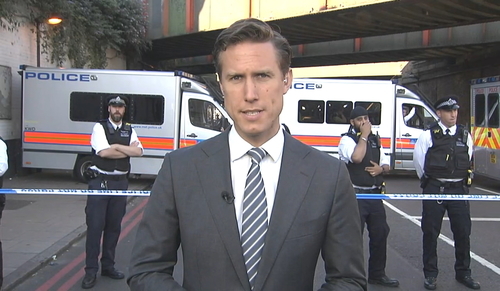 The Metropolitan Police said the driver of the van, a man aged 48, was found detained by members of public at the scene and then arrested by police in connection with the attack. London police said the van driver, aged 48, was found detained by members of the public at the scene of the incident. He was then arrested and will be subject to a mental health assessment, police said. 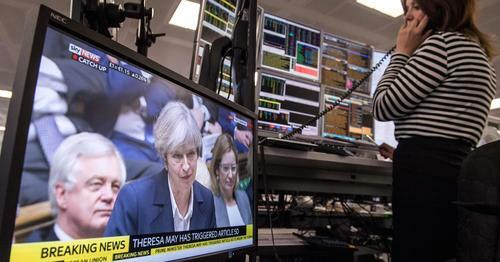 Investigation of the incident is being carried out by the British police's counter-terrorism command, and British Prime Minister Theresa May said it is being treated as a potential terrorist attack. Witnesses reported that the van collided with pedestrians who were on their way home from a prayer at a mosque in the area, according to multiple outlets. From the window, I started hearing a lot of yelling and screeching, a lot of chaos outside. Everybody was shouting: 'A van's hit people, a van's hit people', one woman who lives opposite the scene told the BBC. London Mayor Sadiq Khan said an incident in which a man drove a van into worshippers near a London mosque killing one person and injuring 10 was an attack on common values. Like the terrible attacks in Manchester, Westminster and London Bridge it is also an assault on all our shared values of tolerance, freedom and respect, he said in a statement. Khan said there would be extra police to reassure communities, especially those observing Ramadan. The map below shows the location of the attack in North London. 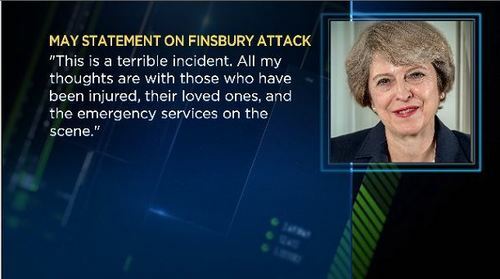 Prime Minister Theresa May said her thoughts were with those who had been injured. She is now scheduled to chair an emergency response meeting on Monday. 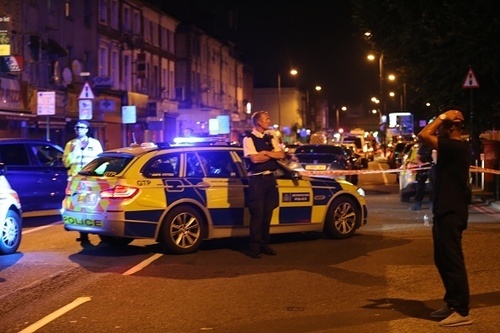 CNBCA van reportedly drove into a crowd of people at the in the Finsbury Park Area of London, media outlets said on Sunday. 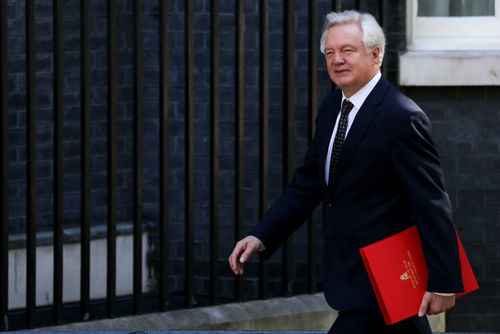 Brexit talks begin today, with negotiator David Davis in Brussels meeting with chief EU negotiator Michel Barnier. Davis said over the weekend there should be "no doubt - we are leaving the European Union." Some European leaders suggested in recent days that Britain could still choose to stay in the EU. 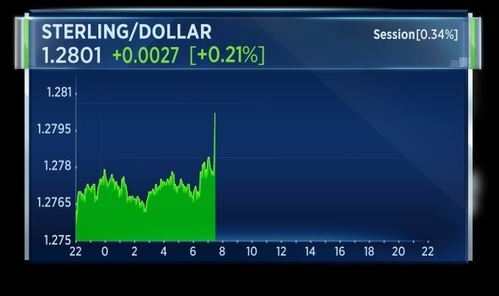 U.K. Chancellor Philip Hammond went further, to confirm the UK would be leaving the single market. We're leaving the EU and because we're leaving the EU, we'll be leaving the single market. And by the way, we'll be leaving the customs union. the question is not whether we're leaving the customs union. The question is what do we put in its place in order to deliver the objectives which the prime minister set out in the Lancaster House speech of having no hard land border in Ireland and enabling British goods to flow freely backwards and forwards across the border. French President Emmanuel Macron has been awarded a solid majority in Parliamentary elections, however the vote has come under criticism for the poor turnout. My dear compatriots, we receive those results with a lot of lucidity and responsibility and especially humility. The low turnout, which was also amongst our own voters, shows to us the work that is ahead of us, of our MPs, the Prime Minister and our government in order to mobilise, gather and reconcile. If (President Emmanuel) Macron's government has a majority at the National Assembly he must know that his ideas are in minority across the country, and that the French people will not support his projects that will weaken our nation. The US Department of Defense has awarded missile defence maker Raytheon a 650 million contract to sell its Standard Missile 2, to four American allies, the Netherlands, South Korea, Japan and Australia. Demand for our capabilities is universal. 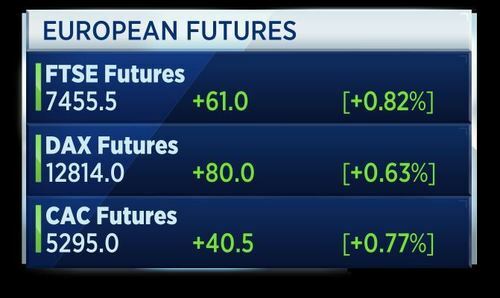 here in Europe, significant uptick in terms of infrastructure protection, border security, missile defense. When you move to the Middle East, the very same demand there in terms of their core capabilities. Countries are looking for capabilities to protect their infrastructure, to protect their sovereignty. China's home prices remained robust in the month of May, up more than 10 percent from last year. This comes even as policymakers try to curb rising prices. 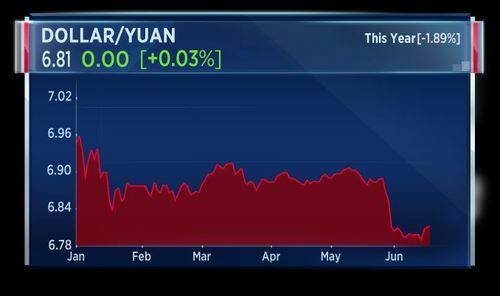 Our next guest says the Chinese housing market is now balanced and is in good shape. I think the prices are going to come off. They put some housing price restrictions in place, especially on the mortgage side as well and for property developers. They are not able to fund further land purchases. This is all being really healthy till now. The numbers in China are 6-9 months delay. These tightening measures happened last December. We are starting to get the first signs of softer number. That was the set up for this year. What is worrying me is the clamp down on wealth management numbers and that is going to lead to further slowing in the second half of the year. The man in custody is 48 years old and is being given a mental health assessment. We see pretty strongly worded statement from Prime Minister Theresa May and opposition leader Jeremy Corbyn. 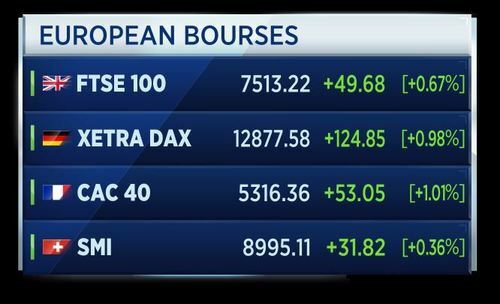 European bourses are expected to open higher Monday, as investors shift their attention to political events across Europe. Prime minister Theresa May: incident being treated “as a potential terrorist attack”. Will chair a COBRA meeting later on Monday morning. Jeremy Corbyn, whose constituency includes Finsbury Park, has said he was “totally shocked”. The van driver – a 48-year-old man – was arrested at the scene by the police after being detained by passersby. The white van hit people outside the Muslim Welfare House on Seven Sisters Road. 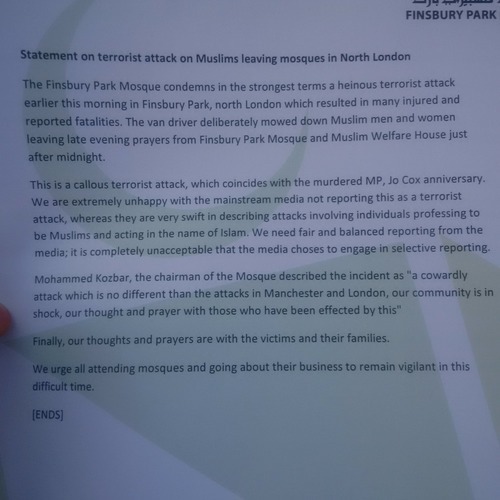 The Muslim Council of Great Britain said the attack was ‘motivated by Islamophobia’. The Muslim Welfare House has called for calm. We are continuing to see strong demands. We just updated our next year's outlook. We see passenger traffic growth at about 8 percent. Overall demand seems very solid. The laptop ban is a challenging situation and is affecting some of our customer base. That said if you look at the traffic stats in the Middle East that continues to grow. We hope the issue with laptop ban gets sorted quickly. Sainsbury's is reportedly close to sealing a 130 million pound deal to acquire the convenience chain Nisa. According to various media reports, Nisa - which has been reviewing its strategic options - is poised to recommend Sainsbury's to its members as its preferred buyer. The British supermarket's offer is thought to value Nisa at 130 million pounds. 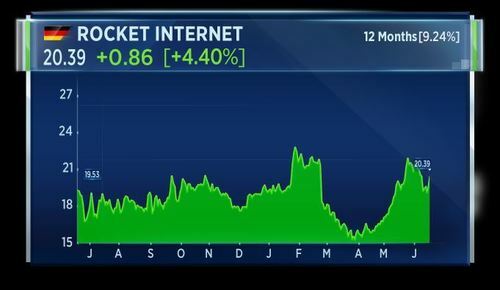 German incubator Rocket Internet has announced details of its Delivery Hero IPO. The online food takeaway firm will sell 39 million shares somewhere between 22 and 25-and a half euros, which would allow it to raise 927 million euros. Delivery Hero is the fourth major online food delivery firm to go public in recent years. 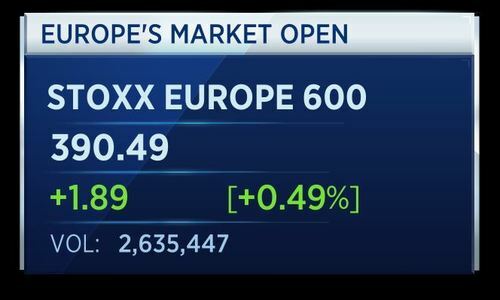 The company is hoping the IPO will allow it to fight off bigger rivals like Uber and Amazon, which are entering the market. Airbus has unveiled an upgraded model of the A380, called the A380plus, the world's largest passenger jet. Speaking at the Paris Airshow, the head of sales said the changes will lead to a 13 percent reduction in cost-per-seat compared with the current A380. British Foreign Minister Boris Johnson says Brexit talks must look to future, think about the deep and special partnership that we want with EU. That's according to Reuters. UK Counter-terrorism police coordinator says too early to say if death at Finsbury Park was result of attack, says this was an attack on all Londoners. The Police coordinator says too early to say what the motive was. Also confirms that all victims are from muslim community. No other suspects identified or reported to police, no reports of knife injuries. 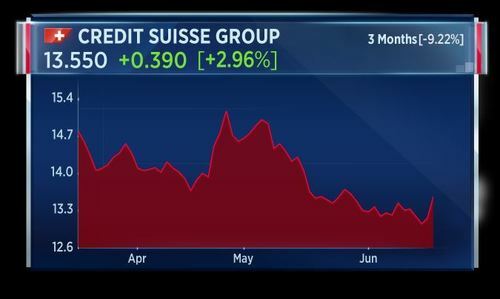 European equities open solidly in the green, led higher by bank stocks, as Credit Suisse is boosted by a number of broker upgrades. 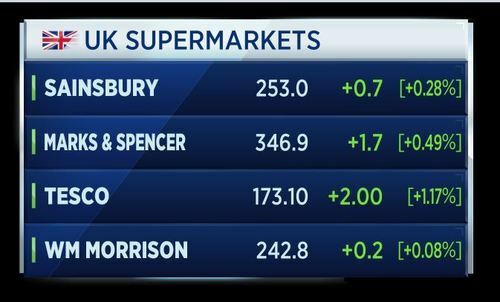 Shares of Ocado soar, touching the top of the Stoxx 600, after Amazon scoops up US retailer Whole Foods for 13-point-7 billion dollars. Food fight! Delivery Hero sets a price range for its IPO, looking to raise just under one billion euros, sending shares in incubator Rocket Internet higher. 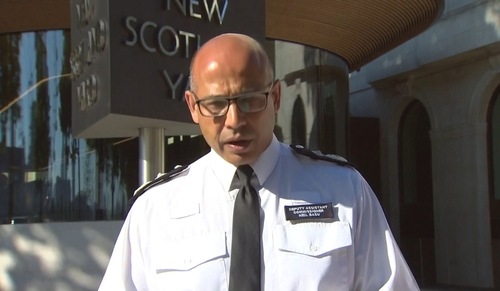 The U.K. counter terrorism police co-ordinator says its too early to tell the motive of a man responsible for the attack outside a mosque in London, killing one person and injuring 10 more. London has woken up to the news of another appalling attack on our city. My thoughts are with the family of the man who has died and with all those who were injured. My officers were on the scene almost immediately, and other uniformed and specialist officers quickly arrived to support them. They worked quickly with colleagues from the other emergency services to treat the injured. I want to thank all those members of the public who assisted police and emergency services in our task. There is now an ongoing investigation by our Counter Terrorism Command to establish why this attack was carried out. London is a city of many faiths and many nationalities. An attack on one community is an attack on all of us. Terrorists will not succeed in their attempts to divide us and make us live in fear. Extra officers are on duty in the area to help reassure the local community. They will be there for as long as they are needed. Communities will see additional officers patrolling across the city and at Muslim places of worship. We are working as hard as we can to protect all our communities, and we will not be defeated. CNBCEuropean bourses opened higher on Monday, as investors shifted their attention to political events across Europe. 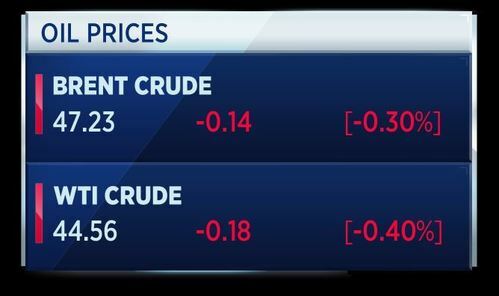 Oil prices dipped on Monday, weighed down by a continuing expansion in U.S. drilling that has helped to maintain high global supplies despite an OPEC-led initiative to cut production to tighten the market. Signs of faltering demand have also prompted weakening sentiment, dropping prices to levels comparable to when the output cuts were first announced late last year. Gold edged lower on Monday to touch a near four-week low as the dollar held firm, with the market waiting on comments from a top U.S. Federal Reserve official after last week's soft economic data. New York Fed President William Dudley, a close ally of Fed Chair Janet Yellen, is due to take part in a roundtable with local business leaders in Plattsburgh, New York. 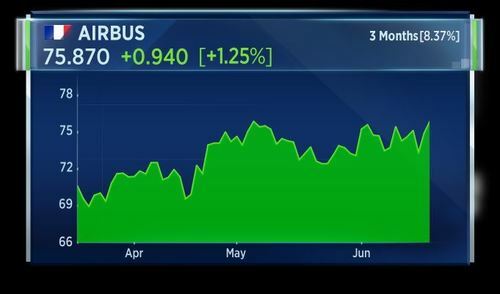 President Donald Trump and Lockheed Martin Corp are both on the same page when it comes to defense spending and delivering value for money for U.S. taxpayers, CEO Marillyn Hewson told CNBC on Monday. 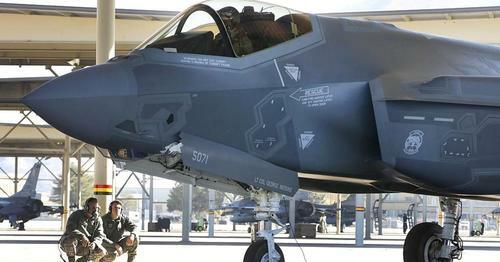 In December, President-elect Trump tweeted criticism of Lockheed Martin's F-35 fighter jet program, saying the cost was "out of control". The company's market value subsequently fell by around $4 billion. 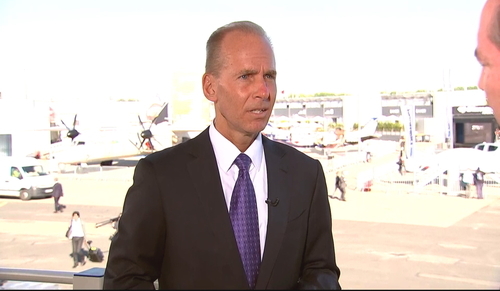 I think what President Trump was trying to communicate to the American citizens is that he is going to increase defense spending and he wants to make sure that he spends those dollars wisely… We certainly agree with that, Lockheed's Hewson told CNBC on the sidelines of the Paris Air Show. 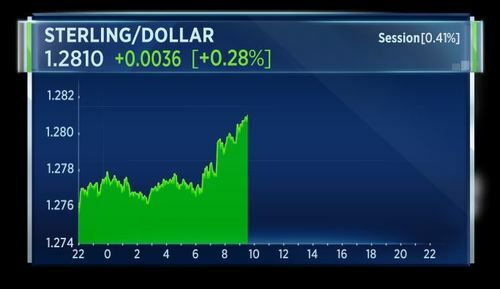 CNBCPresident Trump and Lockheed Martin are on the same page when it comes to delivering value for money for U.S. taxpayers, CEO Marillyn Hewson said. Ratings Agency Moody's says steep decline in South Africa's business confidence setback for growth recovery. Moody's says reduced business confidence implies reduced investment, will ultimately make fiscal consolidation more challenging. The ratings agency further says without improved trust in policymaking, it is likely that South Africa will remain in a low-growth trap. 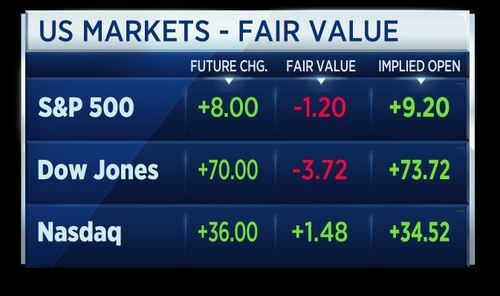 U.S. stock index futures pointed to a strong higher open on Monday, as investors awaited remarks from leading Federal Reserve officials, while keeping a close eye on news coming out of the political sphere. 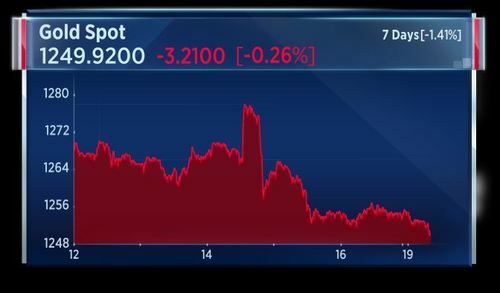 ECB's Lautenschlaeger says from this summer, bank will be required to report all significant cyber incidents. That's according to Reuters. David Davis, the U.K. Brexit minister, says he wants a new, deep and special partnership with the European Union. This as the U.S. and EU begin negotiations on Britain's exit deal. Davis says more united the U.K. and EU than divides us, according to Reuters. He says that the U.K. will do all it can to deliver a deal that works in the best interests of all citizens and says talks with the EU will take a positive and constructive tone. 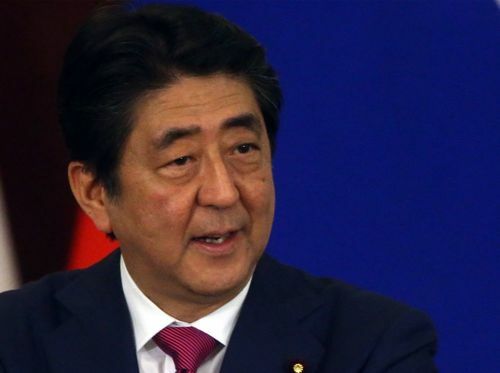 Japan's Prime Minister Abe says the government will continue to put economic revitalisation as its top priority, according to Reuters. Abe says the the government will strive to boost jobs, incomes and generate a positive economic cycle, and adds that structrual reforms are key to revitalising the economy. He adds that he aims to confirm close cooperation among Japan, the U.S. and South Korea at the G20 summit on dealing with North Korea. London Police Commander Cundy says 79 dead or missing presumed dead in Tower Block Fire. That's according to Reuters.